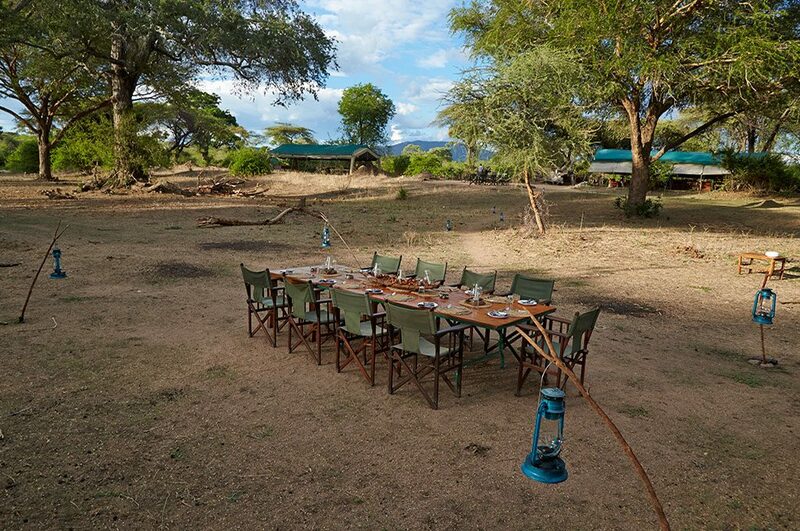 The Ruaha National Park is the largest National Park in East Africa, let alone Tanzania. It is made up of hills and the great Ruaha River and the Usangu wetlands. With very few camps in the park, complete privacy is almost guaranteed. 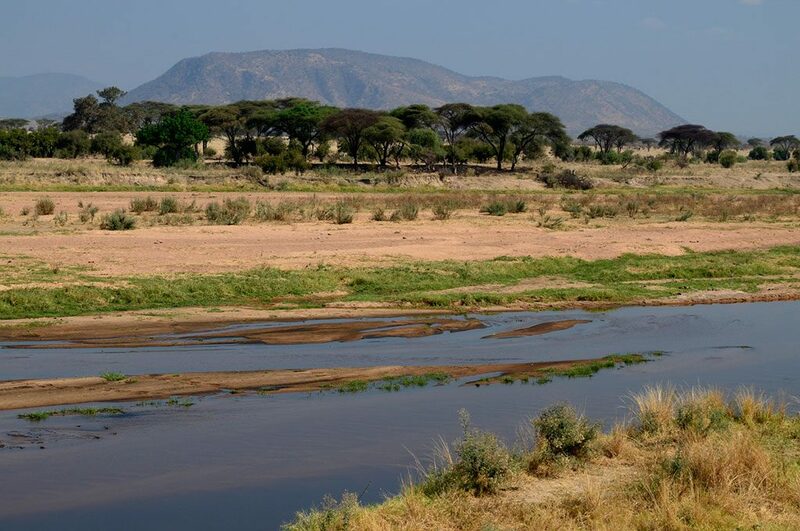 Ruaha’s true beauty is its rolling hills which give stunning views of the surrounding plains and the river. 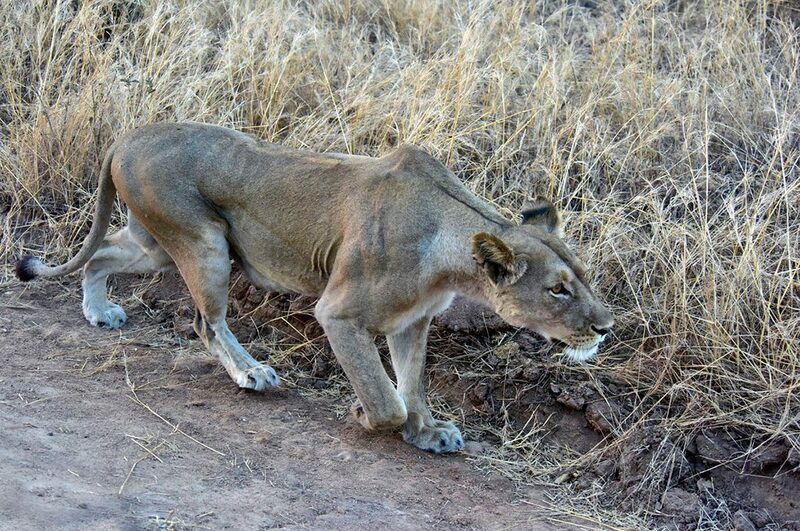 During the dry months, walking safaris are possible in Ruaha National Park. 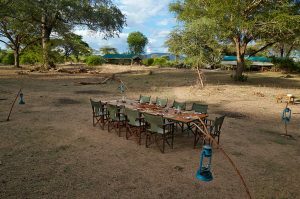 Ruaha is also excellent for single travellers as it is generally a fly in- fly out destination, where the single safari traveller will join an open topped game viewing vehicle with a small number of fellow safari vacationers. 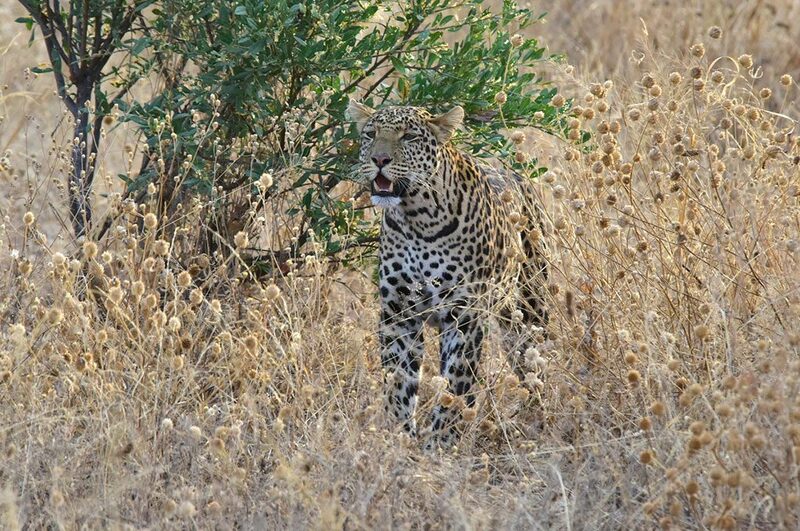 Ruaha three day Safari: A three day three nights safari in Ruaha National Park, including flights, transfers, meals and accommodation starts at £1227.00 (approx. US$1490). This is a superb addition to a week on the Swahili coast in Mafia Island or Zanzibar. 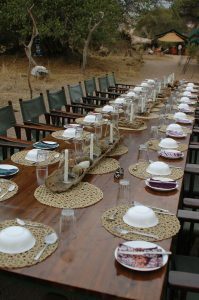 Selous Ruaha Combo: Make its special and add the Selous National park. One week in both parks would cost from £1950 (approx. $2500). 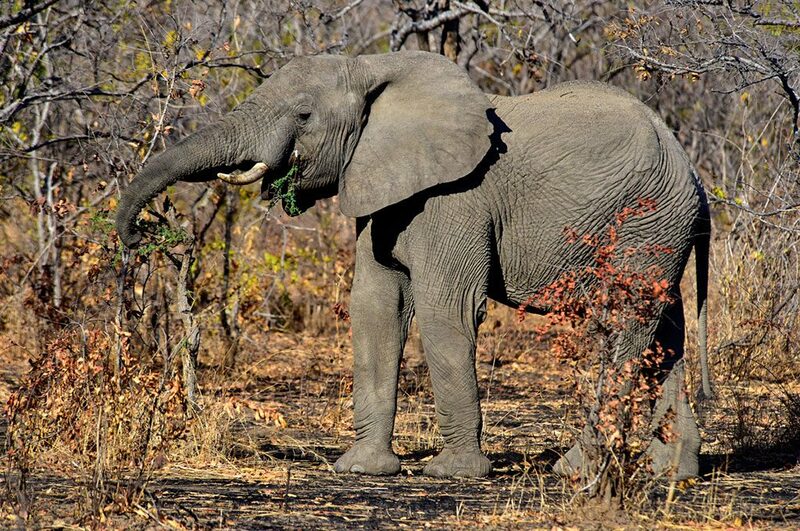 The Ruaha National Park was given its boundaries in 1910, and proclaimed a National Park in 1964. 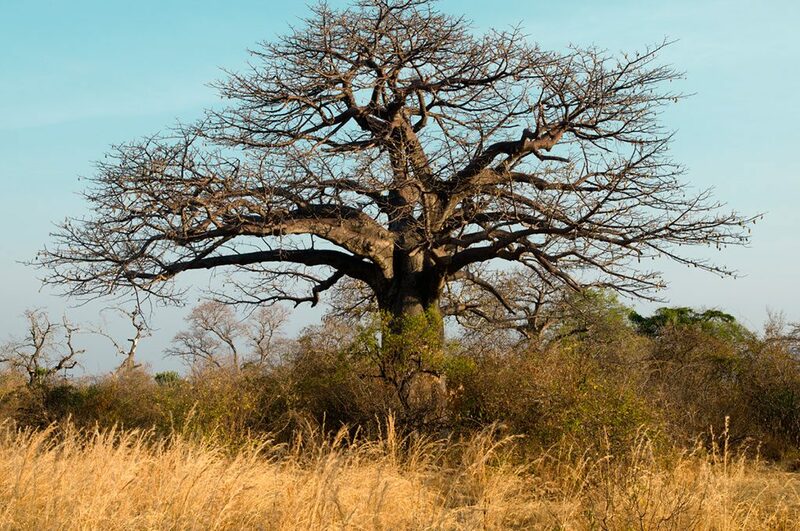 It covers an incredible 10,000 square kilometres and is Tanzania’s second largest national park. It lies at altitudes of 750 to 1800 metres, with mountain ranges surrounding it in 3 directions. 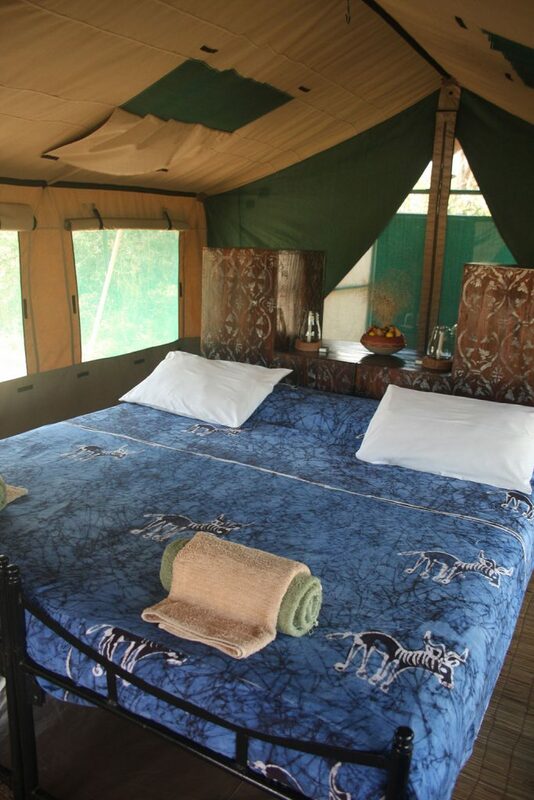 This ensures a very pleasant temperature for safari visitors year round. This altitude also means it cools down at night. 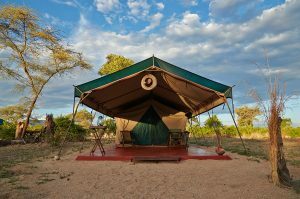 With an abundance of water sources in the otherwise arid central region – when looking at an ideal Tanzanian safari holiday destination the Ruaha National Park should be part of your Southern Tanzania safari tour. 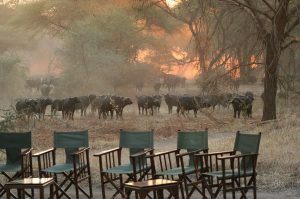 Its remote location means that the Ruaha National Park receives a relatively low number of safari goers and this means you will have the most authentic African safari experience. 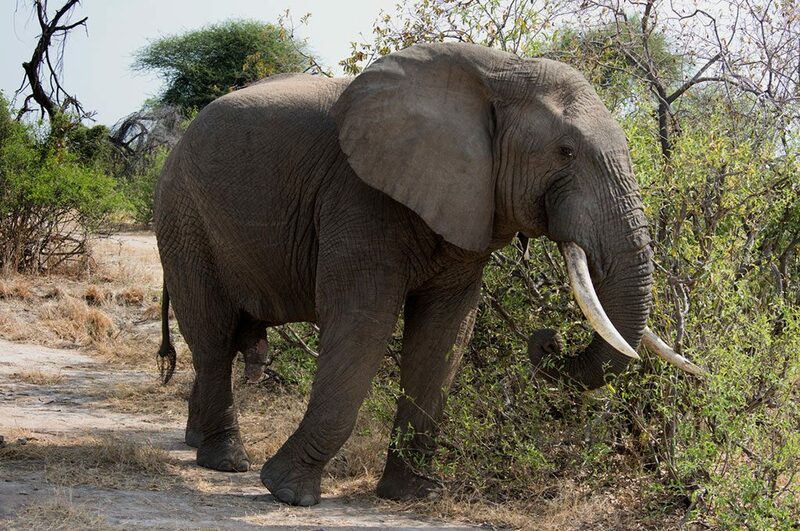 The Ruaha National Park ofcourse offers travellers to Tanzania a huge array of native wildlife to view, but it also has the largest population of elephants residing inside its borders in any East African natural reserve. 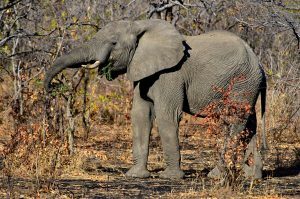 Over 10.000 elephants roam this stunning park of rugged, semi-arid bushland and they can be seen everywhere: huddled under the scattered iconic baobab trees while circling their young protectively. 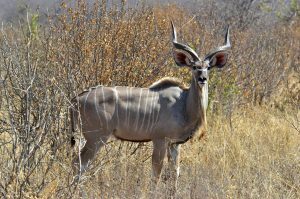 Besides the astounding number of elephants, the Ruaha National Park features the highest number of greater kudu in East Africa. These animals are the park’s emblem and are characterized by the male’s magnificent corkscrew horns. 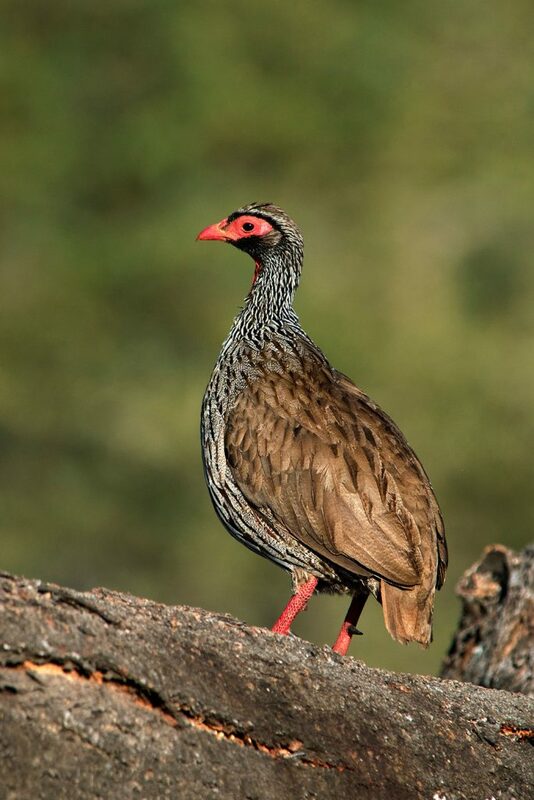 A gorgeous species of animal to watch, they can be seen standing still, almost disappearing, blending in with the colors of the landscape. 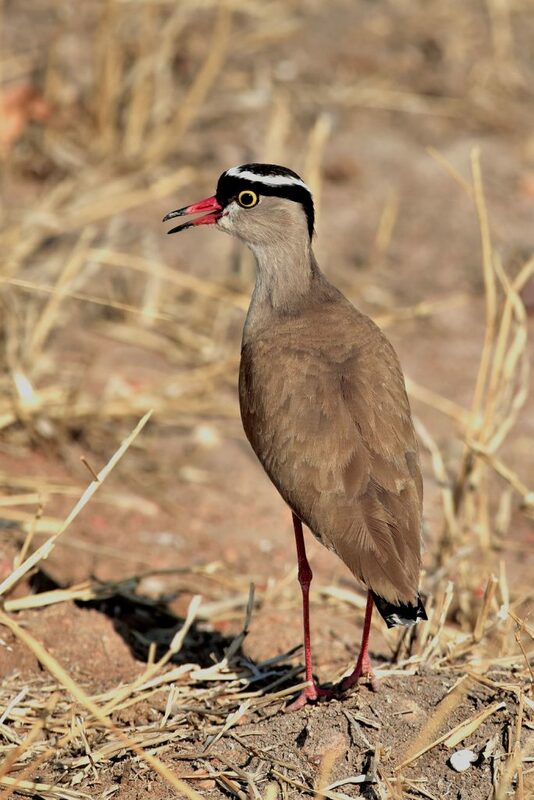 Many other facts about the Ruaha National Park are as impressive – the nearly 450 species of birdlife that can be found here, and the highly endangered African (painted) wild dog can still be tracked here with patience and a good eye. As an often misunderstood predator, the African Wild Dog is fortunately slowly gaining respect and admiration as a highly adjusted predator. 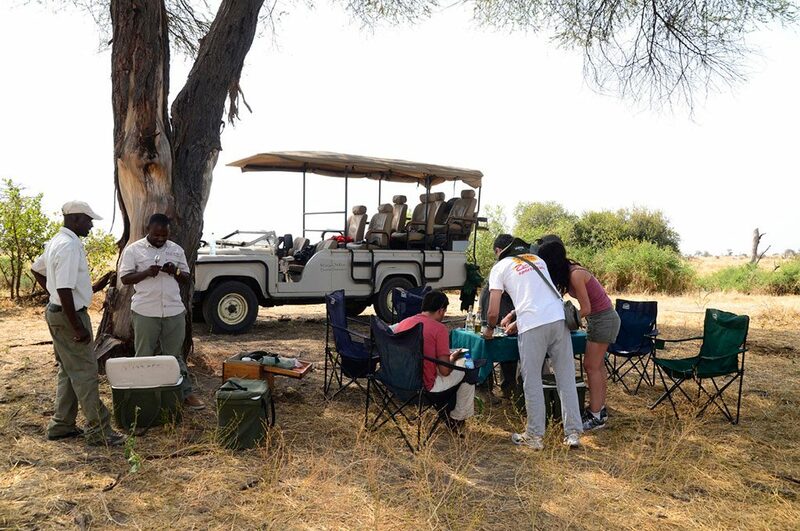 Several resident packs and their dens are known to the rangers of the lodges and when on a game viewing safari, it is a once in a life time opportunity to see these packs socialize and interact with each other. 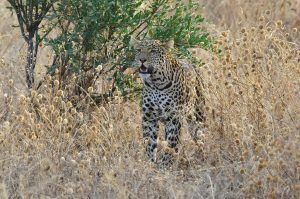 They return to the Ruaha National Park with every dry season and a safari could be planned around these seasonal hunters. The Ruaha National Park protects a vast amount of the rugged, semi-arid bush country characteristic of central Tanzania. 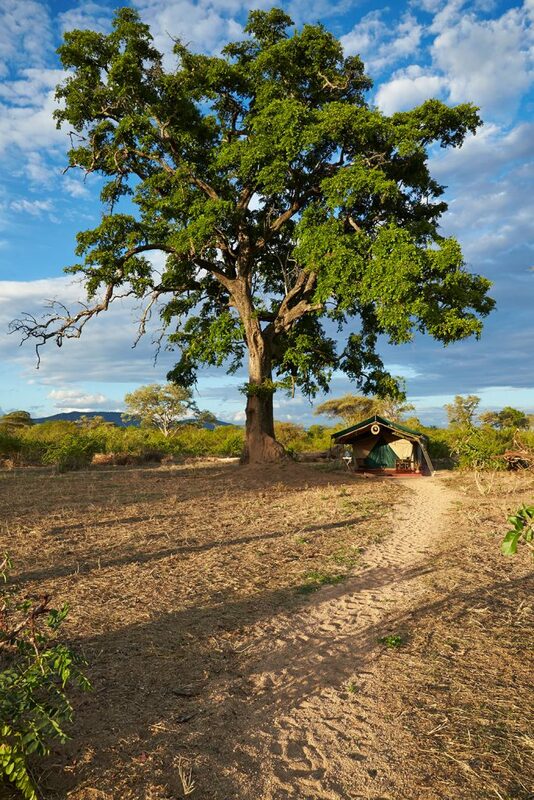 The unbroken wilderness is unsurpassed by any place in the country. 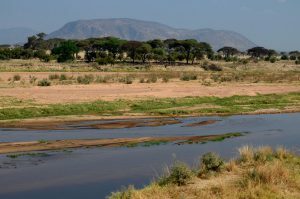 The lifeblood of the park is the Great Ruaha River. 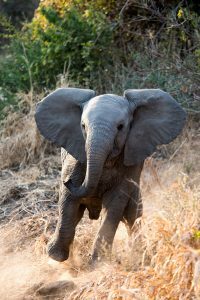 It courses along the eastern border of the park, a raging torrent at the height of the rains that dwindles to a scattering of precious jewel-like pools when the rains subside. 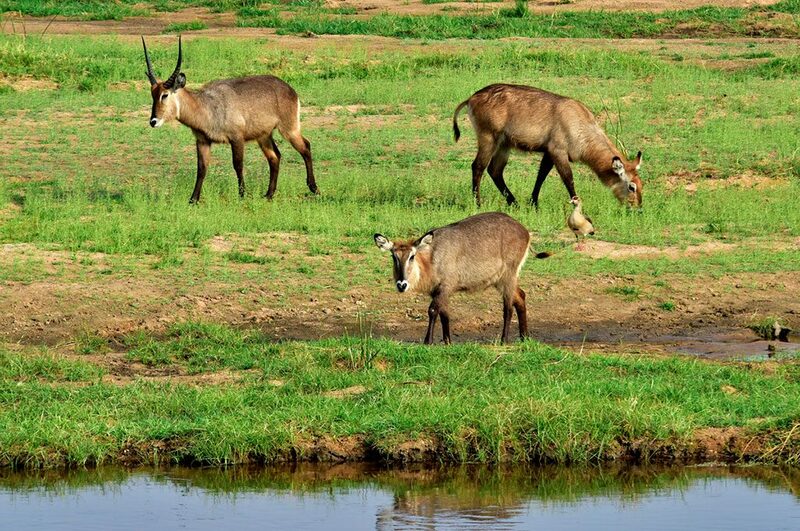 During this time of drought, impala, antelope, and waterbuck risk their lives to take a sip of the life-giving water and when visiting the Ruaha National Park on a safari in this season, it gives amazing opportunities of wildlife viewing in action. 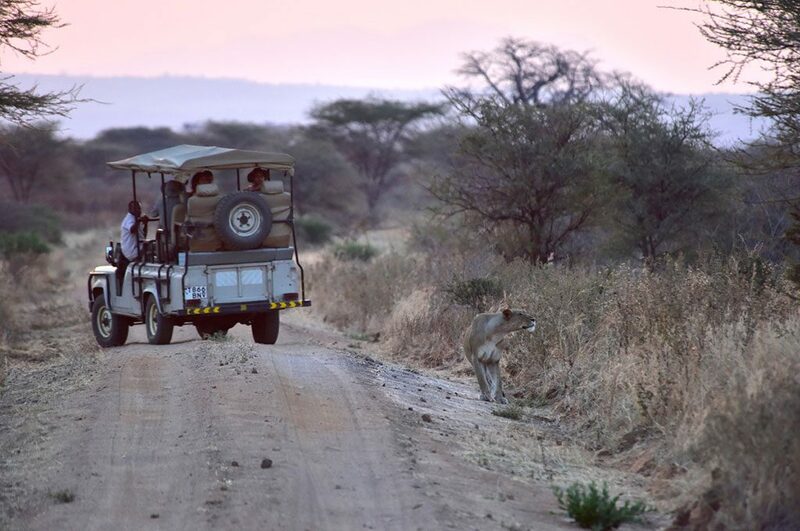 Inside the Ruaha National park a network of game-viewing roads follows the river and its tributaries and when on a game safari it is here that you will see numerous animals come to drink from the river despite the risk of death. 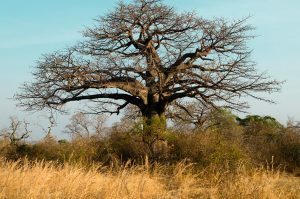 The animals coming to the river to drink attract numerous predators – large prides of lion stalk the savannah and sleep under the baobab trees, waiting for a chance for prey to come along. 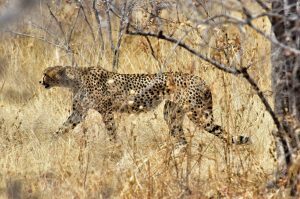 Elusive solo hunters like cheetahs slink through the tall grasses, and leopards lurk in tangled thickets along the riverbanks – hunting exclusively at night. 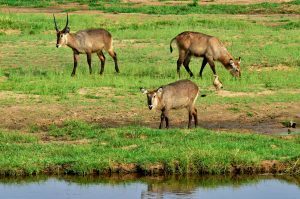 The unusually high diversity of antelope is another reason that an impressive array of predators is attracted to the Ruaha National Park. All this action means that lastly also striped hyena, the common brown hyena and the rare spotted hyenas can be found here. 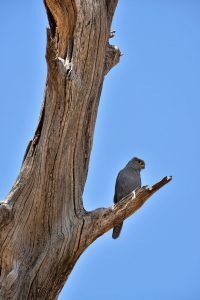 As mentioned before, not only mammals could be the deciding factor when planning a safari to the Ruaha National Park – nearly 450 species of bird can also be seen flying over the savannah and the persistent trilling of the crested barbet is a characteristic sound of the southern bush. The yellow-collared lovebird and ashy starlet are also commonly seen and any avian enthusiast will be pleased to spend a few days game viewing in this remote park. 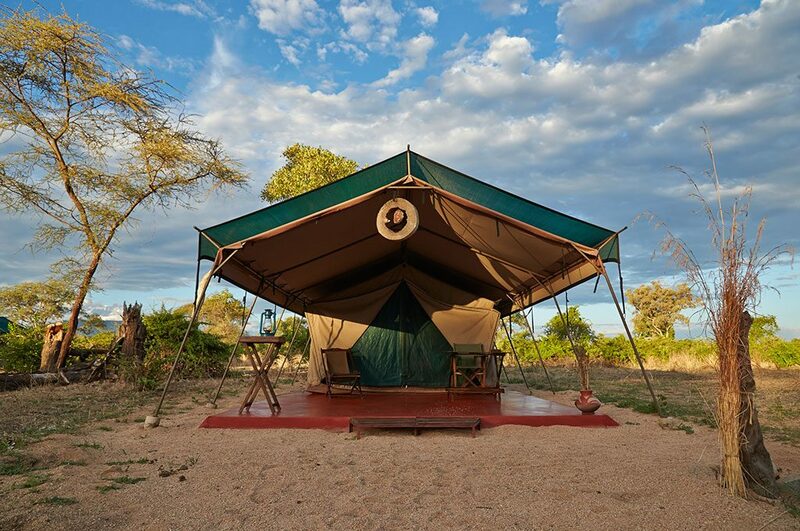 The stark contrast in seasonal variation and weather in the Ruaha National park means that every season offers a different safari –and we would be happy to help you plan according to your interest and preferences! 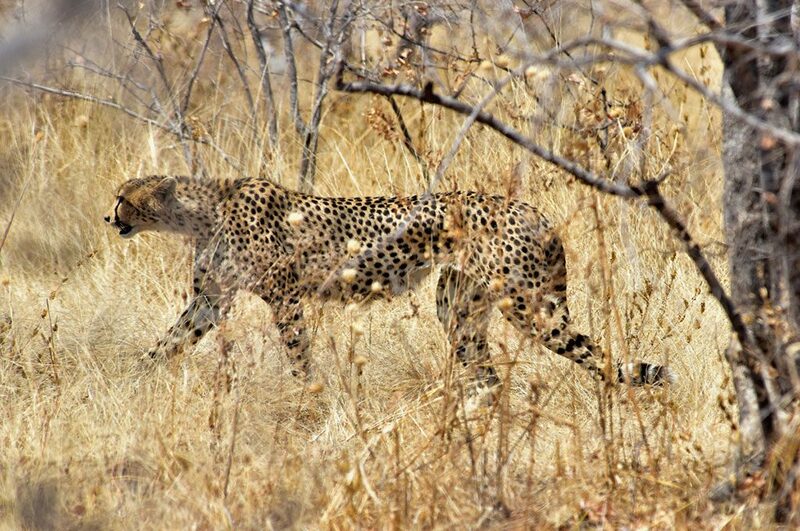 During the dry season (May to December) the Ruaha National Park is especially good for a safari aiming to view predators and large mammals in action. 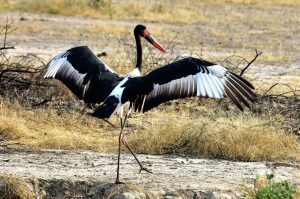 In the wet and lush months of January through to April, Ruaha National Park is a must for safari planners aiming for bird watching, lush scenery and wildflowers. June is the breeding month for greater kudu and it is in this month when visitors can spot the solo male greater kudu in extremely high numbers and fight with other males. A stunning show of nature and a safari worth it in itself. 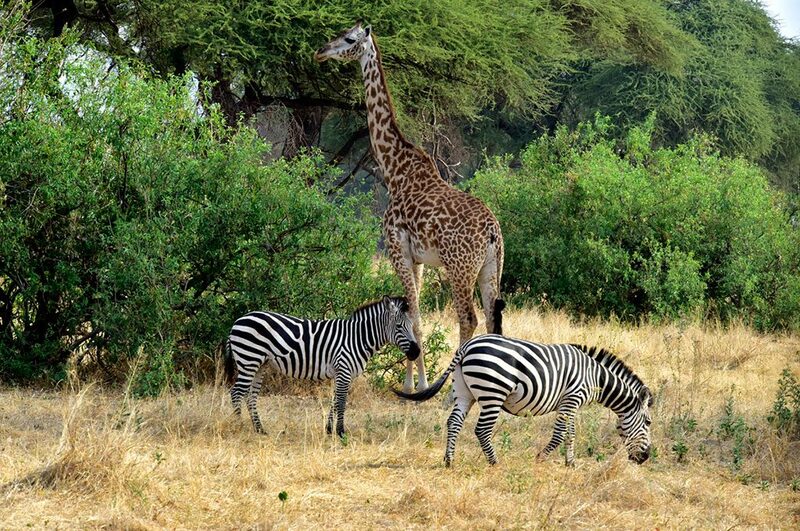 Size: 10,300 sq km (3,980 sq miles), Tanzania’s 2nd biggest park. 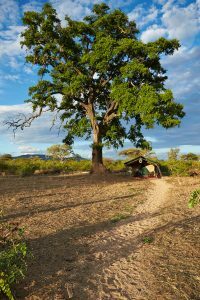 Location: Central Tanzania, 128km (80 miles) west of Iringa. Accommodation inside the Ruaha National Park: the park currently offers safari accommodation in two riverside lodges, three dry season tented camps, and for self catering travellers there is a basic campsite with simple huts. 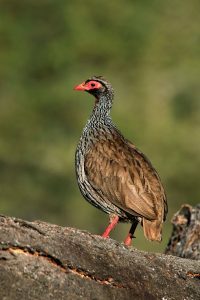 There are scheduled and / or charter flights connecting the Ruaha National Park with the capital Dar es Salam, and regional cities like Arusha and Iringa. Smaller aircraft link the Ruaha National Park with other major parks in Tanzania like the Selous, Serengeti and Mikumi. 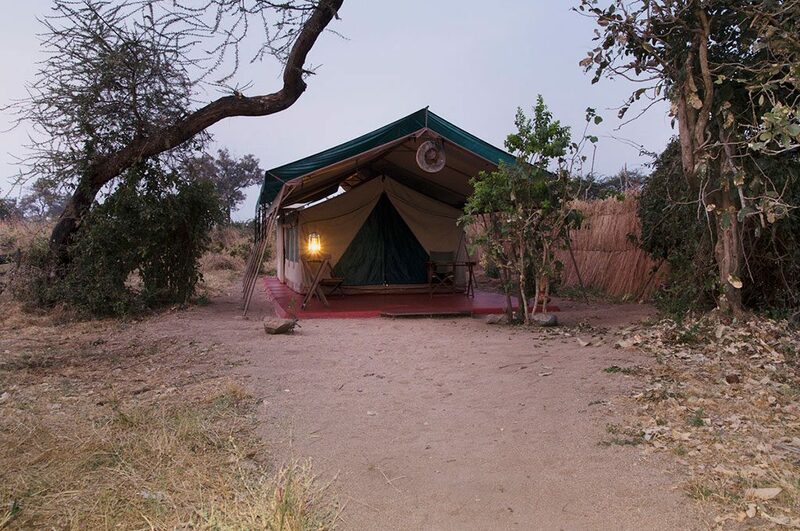 When arriving for a safari in Ruaha National Park by road, we suggest taking a few hours to visit the Stone Age site at ISIMILA – 120 km south east of the park – offering a fascinating glimpse of life as the first known humans saw it. 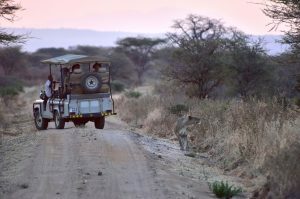 Isimila is one of the most important Stone Age sites in Africa and is on a level with Olduvai Gorge and Lake Turkana.